You know those family camping trips where nothing goes quite as planned? 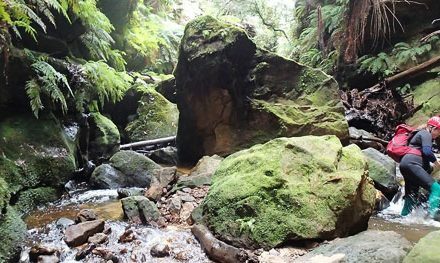 Our recent trip to the Grampians had all the makings of being one of those, and that was before we’d even made it there. We camped at Grampians Gardens Caravan Park (this appears to have closed now but let me know if I’m wrong), which was less than 10 minutes drive from the start of the hike (a big sell point when you’re trying to catch the sunrise). It was affordable and the facilities are excellent. 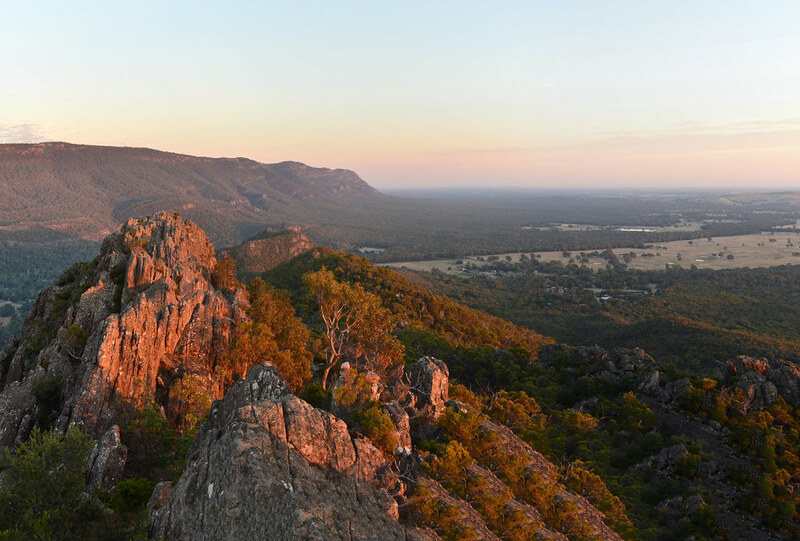 A Google search for ‘sunrise halls gap’ will give you a rough time to aim for. However, timing your hike to catch the entire show is a little more tricky. Since you’re going to be hiking in the dark either way, I recommend leaving earlier rather than later. Length (km): 6.6 km (slightly less in my case, since I didn’t quite make it all the way). Return / Circuit / One-Way / Partial Circuit: Return. Park: Grampians (Gariwerd) National Park. 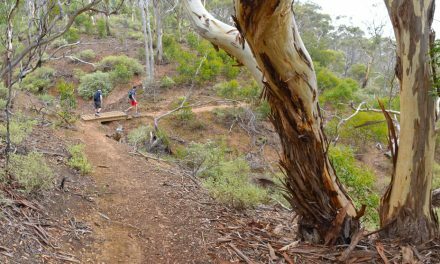 Car Access: Head south from Halls Gap on Grampians Road, then turn left into Tandara Road. The walk starts from the end of Tandara Road. Further Info: Whatever you do, don’t forget your torch. A good map should always be carried. Pay close attention to where you’re stepping as there are cliffs in the area. We’d put in the hard yards on the preparation and planning but our efforts, it seemed, were less than fruitful. On the road by 4:30pm on the Friday afternoon, we were sure we’d make Halls Gap in plenty of time to set up camp before dark set in. Alas, it was not to be. Thanks to traffic unlike anything I’d ever seen it took us nearly two hours just to get to Bacchus Marsh. home. When we eventually made it to bed that night, the kids shared one single mattress and we slept on the tent floor with assorted twigs and rocks sticking into our backs. On the upside, this made waking up for sunrise a lot less challenging, so I was strangely glad of it when I set off for Boronia Peak at about 5:30am. Once on the pitch black trail, I was thankful for the clear signs at every intersection. The first kilometre or so of the track is wide and relatively flat, which also makes for easy walking. 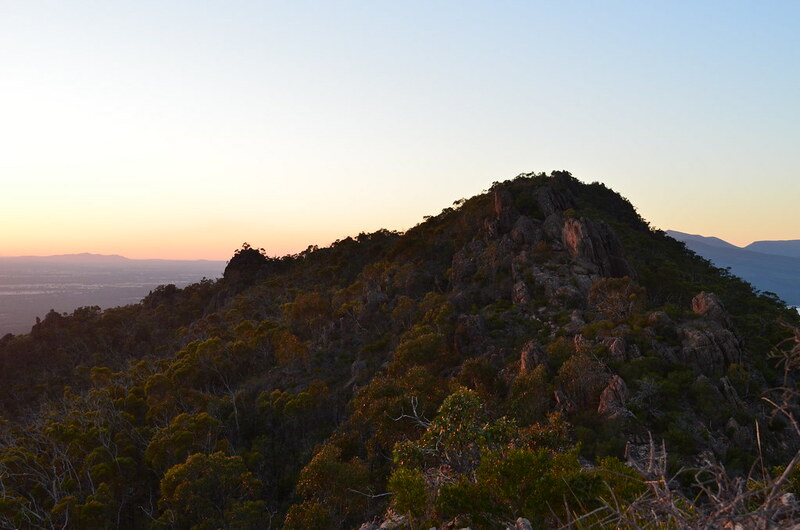 Things get a little trickier once the climb to Boronia Peak begins though, and I found myself tripping over every second rock as I raced to get to the peak, scared I was going to miss the best parts of the sunrise. When I finally made it to what I thought was Boronia Peak, the show had well and truly started. I was a bit shattered when I noticed that there was another, taller peak a little further on. It was hard to tell how much further but I estimated another 10 minutes, so decided this spot was good enough. Mother Nature didn’t disappoint. It’s not often I see a sunrise, but this one was more than worth the early get up, and the climb. I spent at least an hour up there, taking photos and meditating. It was pretty special to have the place all to myself. After that morning, it’s no surprise that the rest of the trip was amazing. Ever done a sunrise hike? 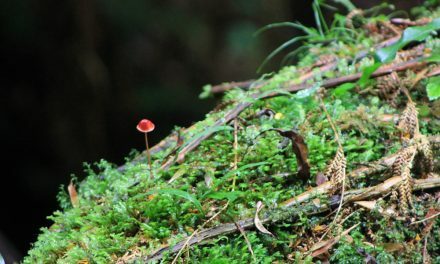 Been to Boronia Peak? If you’ve got any tips or tales to tell, please let us know by commenting below. I feel your pain Neil about getting stuck in holiday traffic, sleeping on sticks and rocks (our air matress deflated in the middle of the night once) and the other various things that can go awry on a trip – but we keep going back for more because the good usually always outweighs the bad. Which by the look of the photos in this post the good was very good! 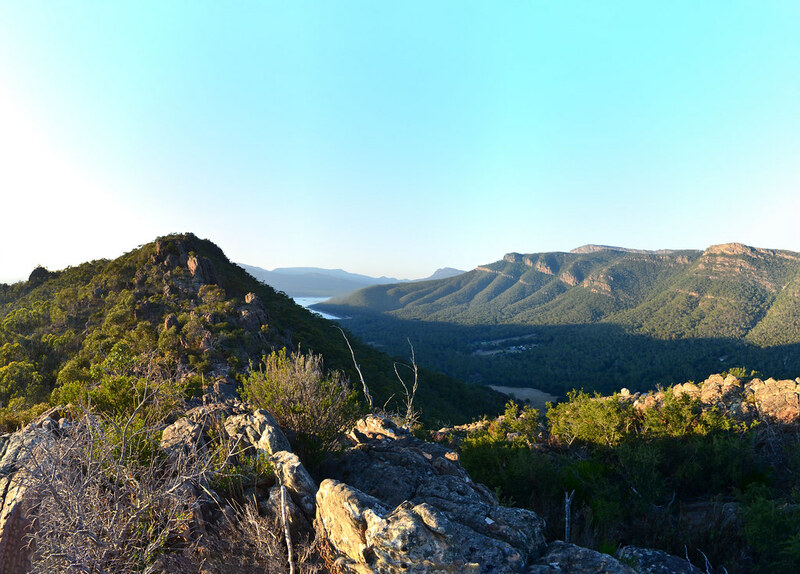 What a gorgeous view, I love the Grampians. 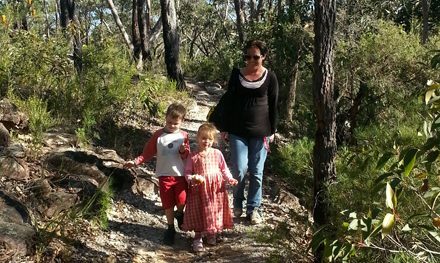 I haven’t walked Boronia Peak, maybe next time. 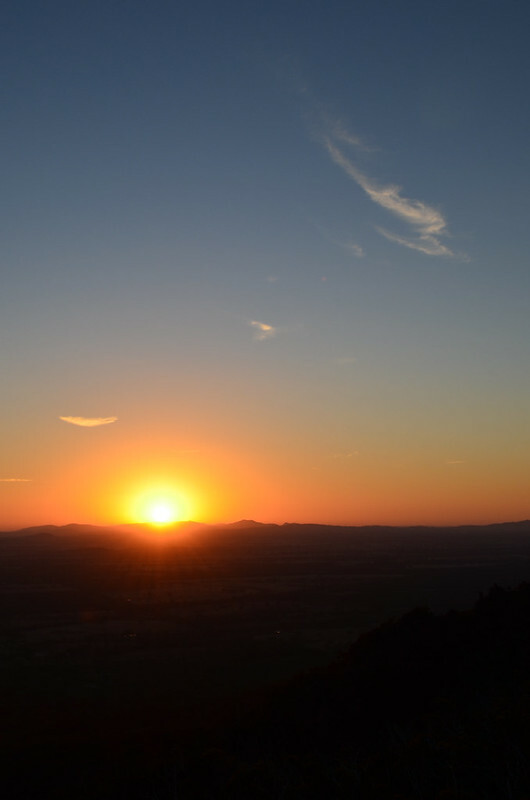 I have done one sunrise hike and it was completely unplanned and I was woefully under prepared. I was at a friends place and another friend called and asked if we would like to join them in climbing Wollumbin (Mount Warning) at 3am the next morning. Sure why not? We had two torches between 5 people and I was wearing colorado sandals (I borrowed a pair of socks from my friend to wear with them, good look!. Long story short, it was a full moonlit night and the sunrise was spectacular with the sun coming up with the moon still out. The things one does when 22 and feeling spontaneous! That sounds like great fun, except maybe the socks and sandals. 😛 Oh to be 22 again! Cheers for the commment, Amanda!